Sea-Changers Blog: The Thames harbour porpoise project: The life and times of the UK’s smallest cetacean in our busiest urban waterway. The Thames harbour porpoise project: The life and times of the UK’s smallest cetacean in our busiest urban waterway. 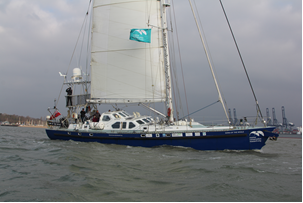 The first ever dedicated survey for harbour porpoises (Phocoena phocoena) in the River Thames was completed on Saturday 14th March, with Marine Conservation Research international’s research vessel Song of the Whale returning to her home port of Ipswich. 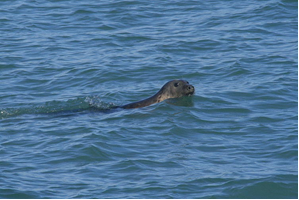 During the survey of the Thames Estuary, groups of harbour porpoises were encountered on 17 separate occasions. However, as even the slightest waves can limit the likelihood of spotting a porpoise, the research team composed of MCR staff and volunteer participants, also deployed an array of underwater microphones (hydrophones) to assist in the search for these iconic marine mammals. Listening for the characteristic sonar clicks of this species is often a more effective way of determining the presence of harbour porpoises; indeed, a preliminary investigation of these acoustic recordings suggests more than 100 separate detections were made of porpoises as they foraged for food beneath the surface waters of the estuary. 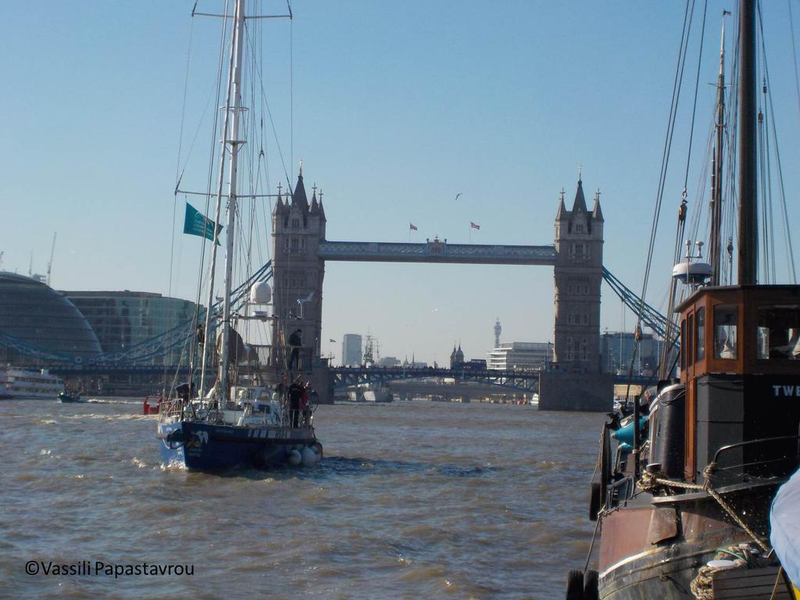 To ensure complete survey coverage of the tidal Thames, a separate survey was conducted on Monday 9th March using a launch kindly provided by the City of London Corporation. Although no porpoises were sighted during this survey, marine debris was logged and will contribute to an analysis of litter throughout the tidal Thames. MCR, along with project partners including the International Fund for Animal Welfare (IFAW) and the Zoological Society of London ( ZSL), will conduct an additional survey in six months’ time to establish if these encounters represent a year-round return to the Thames or are part of a seasonal peak in the spring. Anyone seeing a harbour porpoise or any other marine mammal in the Thames Estuary is encouraged to submit the information to ZSL’s Thames Marine Mammal Survey http://sites.zsl.org/inthethames/#Public%20sightings. The map below shows the track of R/V Song of the Whale during the recent survey (6th – 13th March). 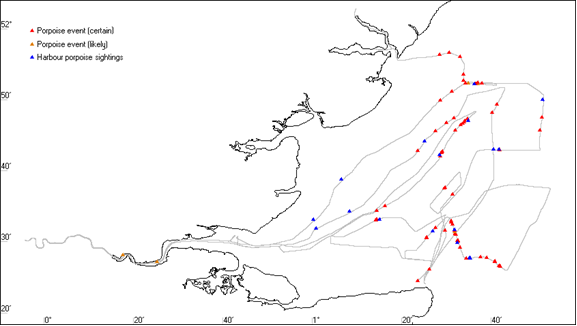 Porpoise sightings are shown in blue and acoustic detections are shown in red and orange. A more detailed analysis of the acoustic data will soon be initiated to verify the detections shown in the map and derive a local density estimate of porpoises in the Thames for comparison with other regions. As part of the public outreach component of the MCR Thames Porpoise project, the team held a public open day at Hermitage Community Moorings, Wapping, on Sunday 8th March. R/V Song of the Whale (SOTW) arrived at the Hermitage Community Moorings (HCM) during the afternoon of Saturday 7th March having conducted the first leg of the survey. HCM is a co-operative which built, owns and operates a mooring on the Thames at Hermitage Wharf. HCM’s partner charity Hermitage River Projects had invited the MCR team and SOTW to use its facilities which include a meeting space/classroom situated on the pontoons. The open day was promoted by MCR and associated partners and sponsors via our website, social media, local press and local radio. SOTW was berthed alongside the main pontoon at HCM close to the classroom for the duration of the open day. The classroom was set up with a multi-media display featuring the work of MCR and in particular the Thames porpoise survey, materials including the leaflet produced specifically for the project and others provided by project partners and sponsors were available to the visiting public. The SOTW was similarly set up with multi-media display focused specifically on the survey to date. 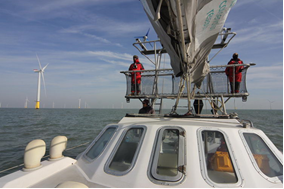 During the Open day MCR staff, the student interns, ZSL and Thames Estuary Partnership partners were available either in the classroom or on board SOTW to talk to visitors. Despite the cold overcast weather the open day was well attended by approximately 120 people including many children. Most of those visiting expressed surprise that porpoises are found in the Thames and were interested to hear that there would be future surveys and materials developed for schools. With grateful thanks to the organisations who are supporting the project: IFAW, Thames Tideway Tunnel, The Ernest Cook Trust, The John Spedan Lewis Foundation, London Array Ltd, Hermitage River Projects and Sea-Changers, and our partners and collaborators ZSL, The City of London Corporation, Hermitage Community Mooring, The Kent Mammal Group, The Wildlife Trusts, RSPB, Thames Estuary partnership, Thames 21, and ORCA.